We also offer 4-person wash stations to vastly improve sanitation on sites without fresh water. They are compact enough to be moved by one person and fit comfortably in smaller spaces. 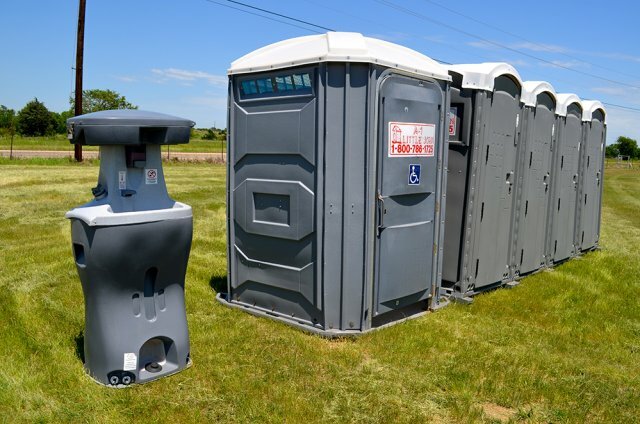 They feature a hands-free foot pump operation and include soap and towel dispensers. 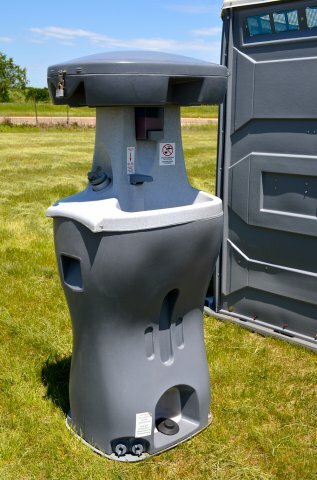 These fantastic little stations are completely self-contained with storage for its fresh, non-potable water* supply and for holding the gray water after washing.